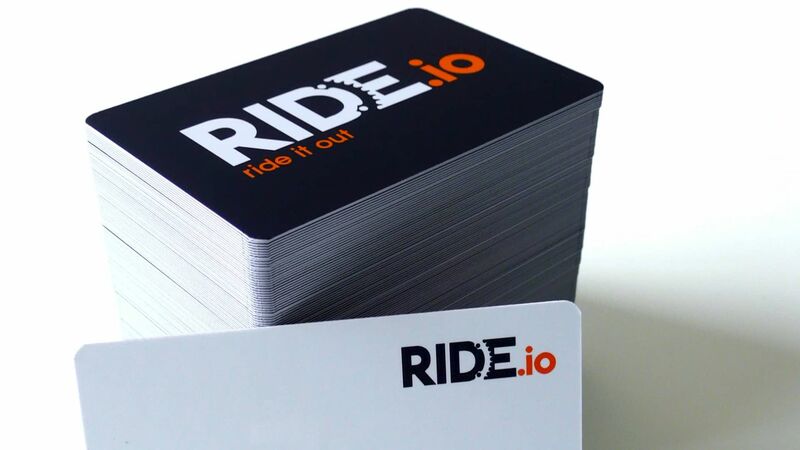 Ride.io (Ride It Out) provides coverage of the UK mountain bike scene, from product reviews and race results to events and news stories. As part of their re-name strategy they obviously needed an exciting and powerful new logo. We provided them with a design consultancy service after unfruitful attempts by the design studio they initially appointed. After reviewing the routes explored by the first design studio, we offered a new direction. Using powerful typography and colour with some clever negative space illustration, we were able to incorporate the shape of a bicycle chain ring into two of the letterforms. It is a simple but effective logo, and has had a great response from both the cycling community and the design community. Following the logo design we also designed their business cards, and assisted with various aspects of their brand direction.